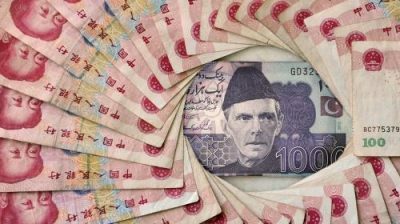 Pakistan is considering replacing the U.S. dollar with the Chinese yuan for bilateral trade between Pakistan and China, Pakistan’s Minister for Planning and Development Ahsan Iqbal said according to Dawn Online and The Economic Times. Interior Minister Iqbal, who has been central to the planning and implementation of China-Pakistan economic ties, was reported discussing the proposal after unveiling a long-term economic development cooperation plan for the two countries, Reuters added. Iqbal spoke to journalists after the formal launch of Long Term Plan (LTP) for the China-Pakistan Economic Corridor (CPEC) signed by the two sides on November 21, Dawn online reported on Tuesday. The CPEC is a flagship project of China’s Belt and Road initiative. The 3,000 km, over $50 billion corridor stretches from Kashgar in western China to Gwadar port in Pakistan on the Arabian sea. Asked if the Chinese currency could be allowed for use in Pakistan, the minister said the Pakistani currency would be used within the country but China desired that bilateral trade should take place in yuan instead of dollars, in yet another push to de-dollarize what China considers its sphere of influence. “We are examining the use of yuan instead of the US dollar for trade between the two countries,” Iqbal said, adding that the use of yuan was not against the interest of Pakistan. Rather, it would “benefit” Pakistan. It would also show that world that when it comes to Asia, the “superpower” of significance is no longer the US. And so, as China’s influence grows, the long-term plan highlighted key cooperation areas between the neighboring states including road and rail connections, information network infrastructure, energy, trade and industrial parks, agriculture, poverty alleviation and tourism. The CPEC plan marks the first time the two countries have said how long they plan to work together on the project, taking the economic partnership to at least 2030. China has already committed to investing $57 billion in Pakistan to finance CPEC as part of Beijing’s “Belt and Road” initiative to build a new Silk Road of land and maritime trade routes across more than 60 countries in Asia, Europe and Africa. The two nations also agreed to establish and improve cross-border credit system and financial services, strengthen currency swap arrangements as well as establish a bilateral payment and settlement system…. in yuan that is, not dollars.